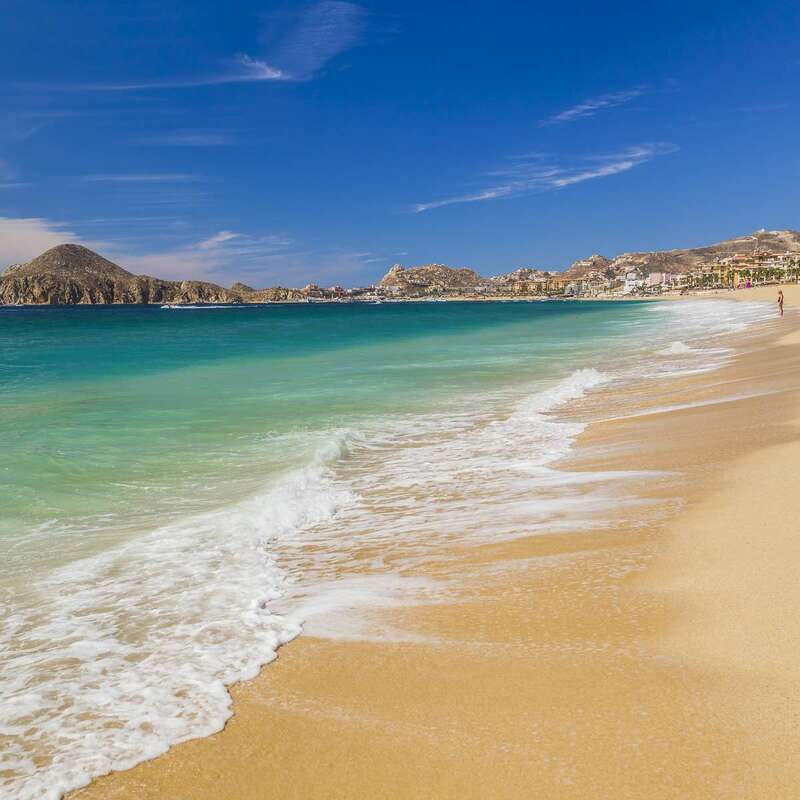 Top Beaches In Los Cabos! 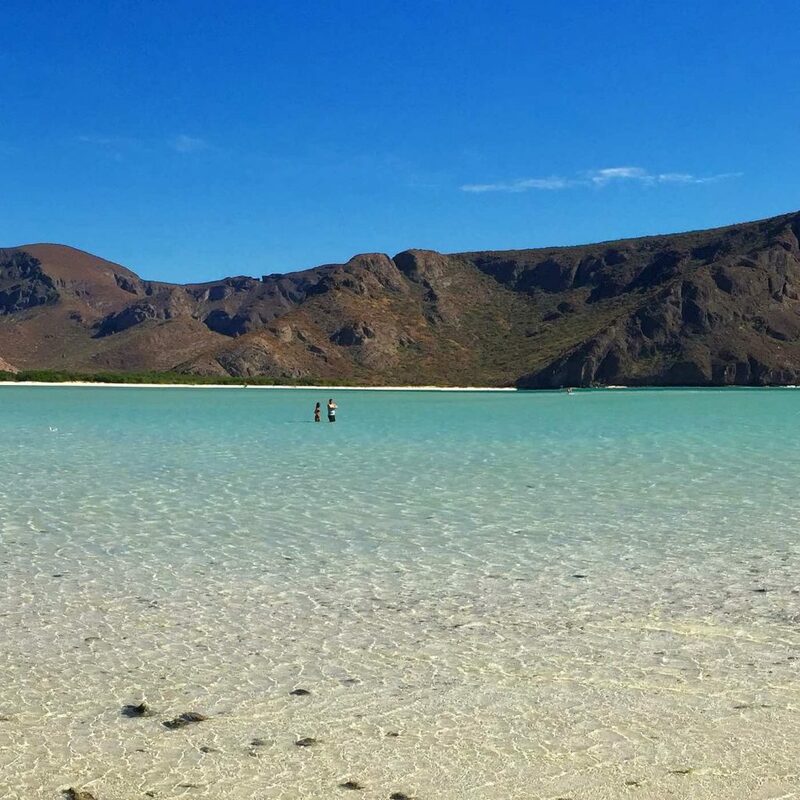 Imagine floating in a turquoise bay with coral colored sand, snorkeling with colorful fish or walking for hundreds of yards in waist-high water, every beach in Southern Baja offers something unique. 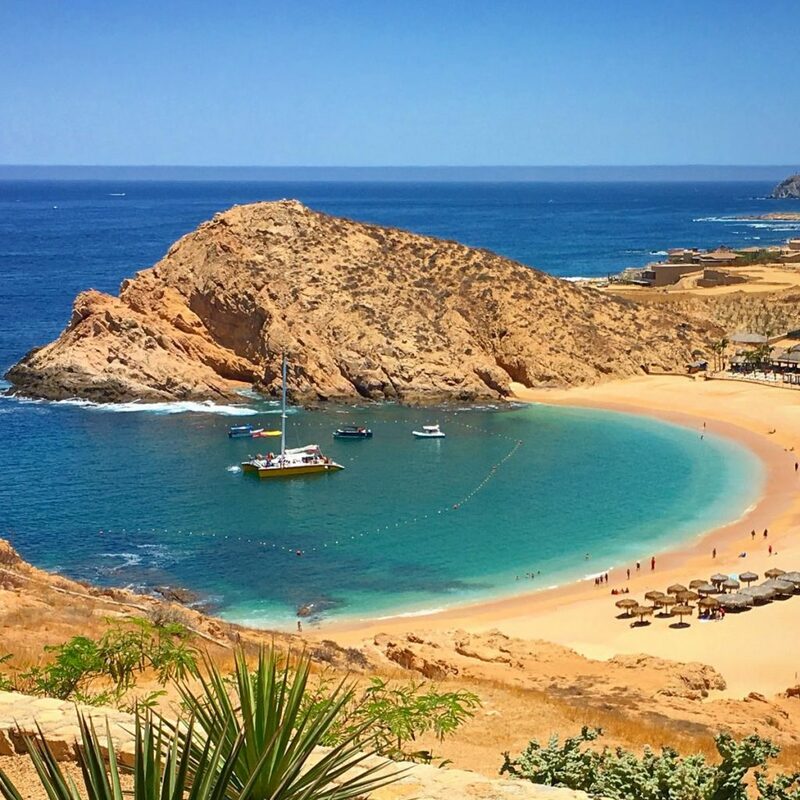 Here is a list of the "must sea" beaches to help you decide which one is best for you, or just visit them all! If you’re looking for the action, this is where it is. 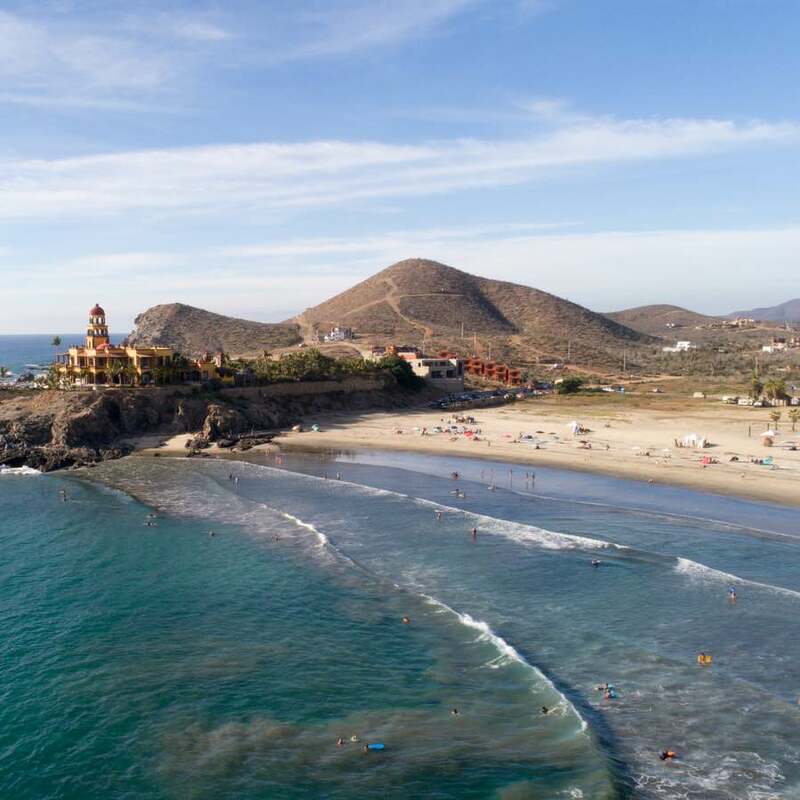 El Médano (as the locals call it) is a 2-mile stretch of hotels, restaurants and bars, right on the sand. 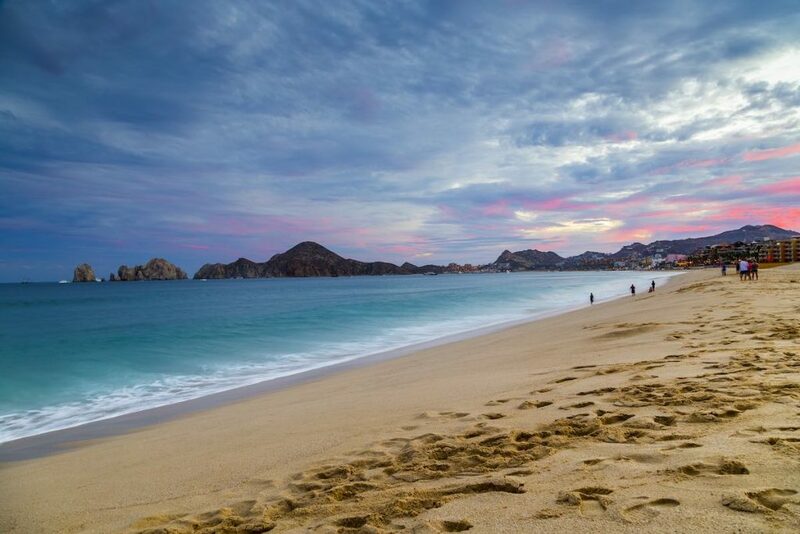 It’s a swimmable and family-friendly beach with endless options for souvenir shopping. Numerous activities and water sports are available. If you want to take a water taxi to Lover’s Beach, this is the best spot to do it. 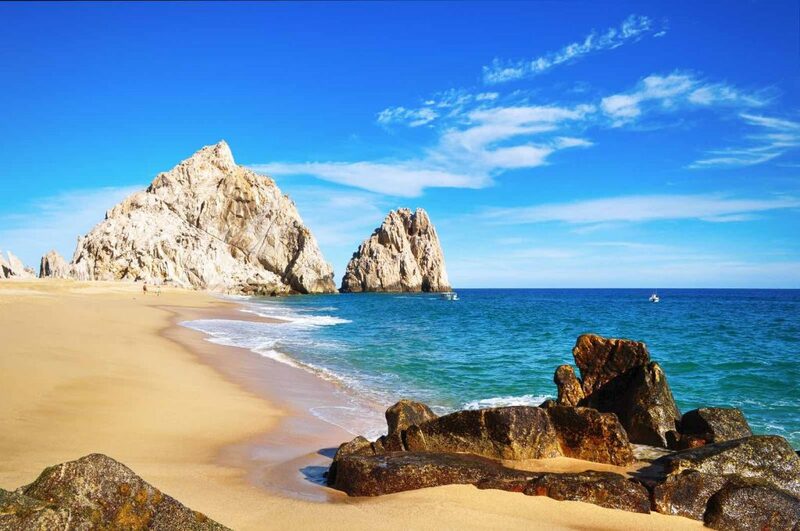 Its stunning view of Land’s End and the vast entertainment options make this beach a must-see. 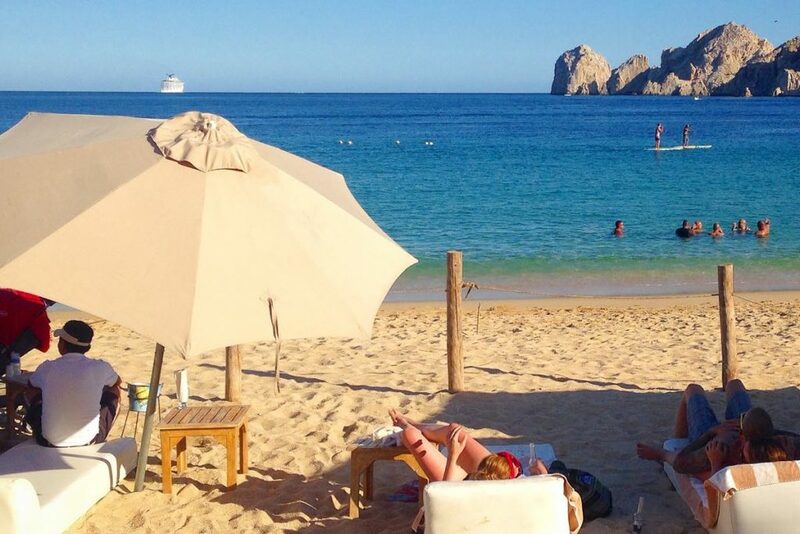 Location: In the heart of downtown Cabo San Lucas. 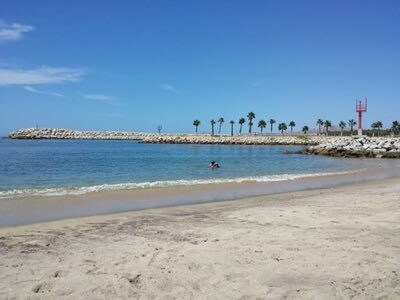 This is accessible by foot through the east side of the marina or via Avenida del Pescador. Tips: Be prepared to be approached by a lot of souvenir vendors. 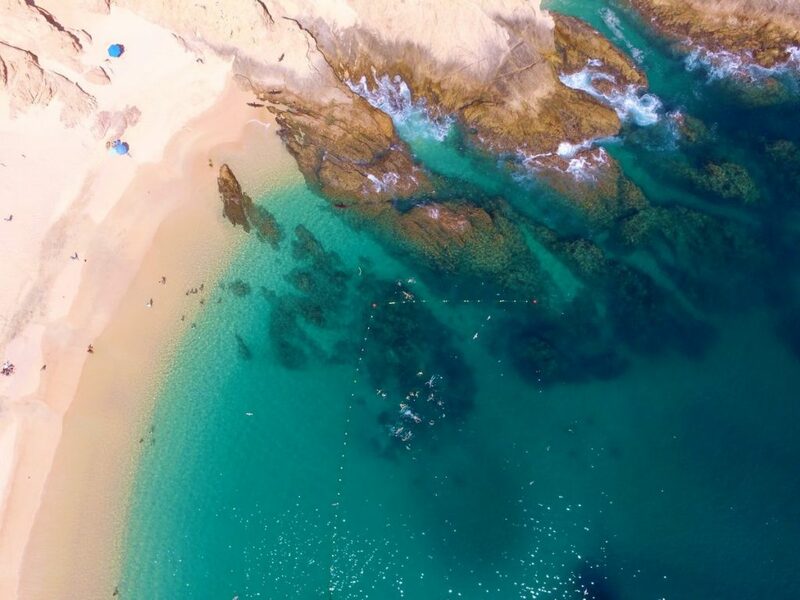 If you’re not there for the shopping, just respond with “No gracias.” Water sports are available such as jet skis, parasailing, flyboarding, stand up paddle boarding, kayaking, and more. 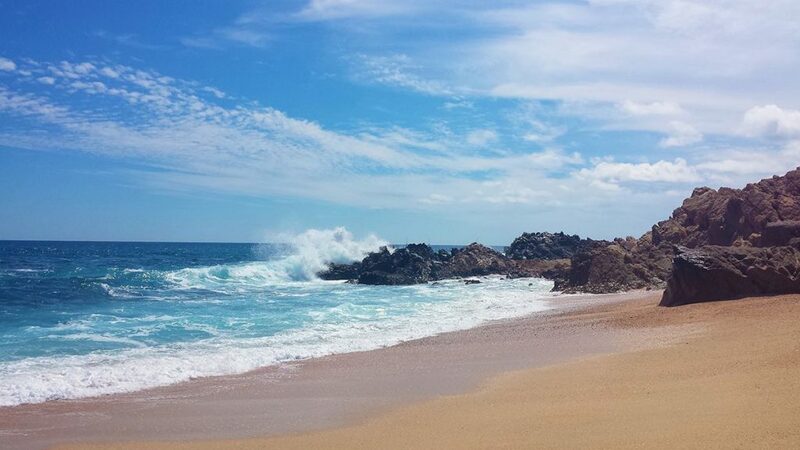 Visit Lover’s Beach while you’re there. Getting there is an adventure in itself, since it is reachable only by boat, kayak or any other water vessel. 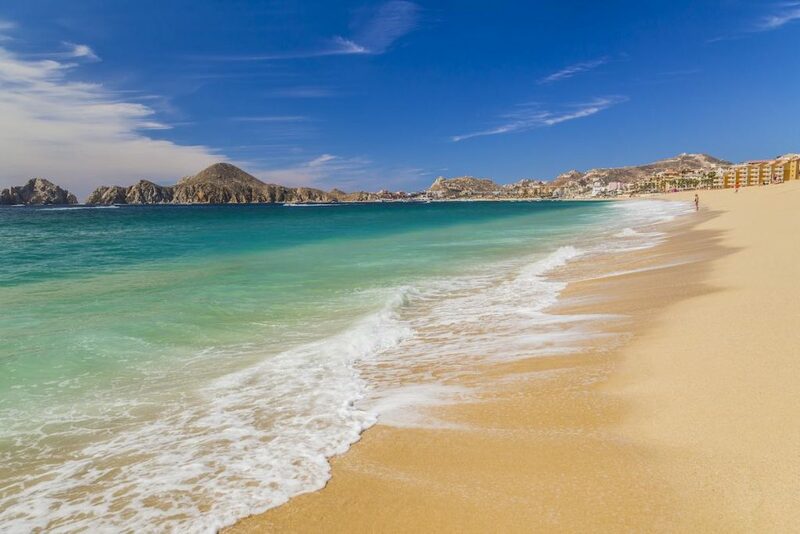 The easiest way to get there is to take a water taxi from the Cabo San Lucas Marina or Medano Beach. Your captain will cruise by the arch and the sea lion rock for some great photo opportunities. Walk to the other side of the rocks and you’ll find yourself looking at the Pacific Ocean (Divorce Beach). This side is very dangerous for swimming, so swim on Lover’s Beach side only. Location: Land’s End beside the famous arch. Tips: On occasion there are a few vendors who offer beer and water, but you won’t find any other services. 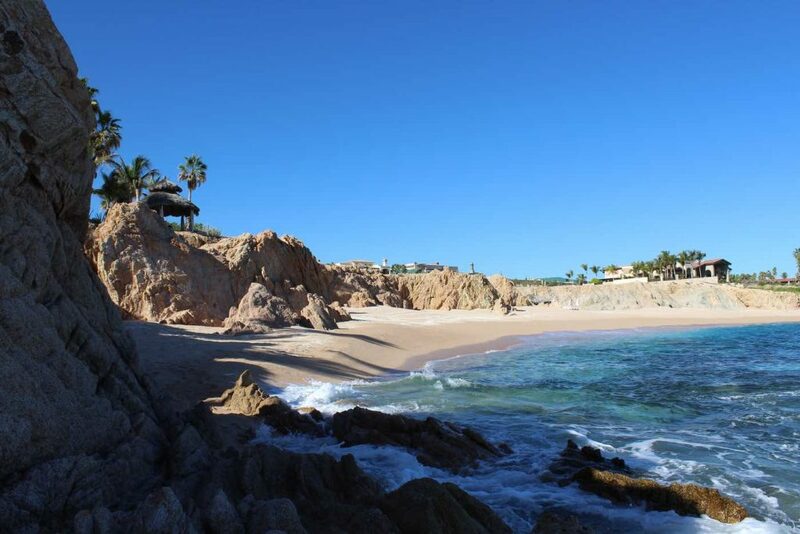 Santa Maria is a stunning horseshoe cove with coarse coral colored sand and abundant marine life. Boat excursions and private charters often stop here to enjoy the snorkeling and scuba diving that this National Marine Preserve offers. 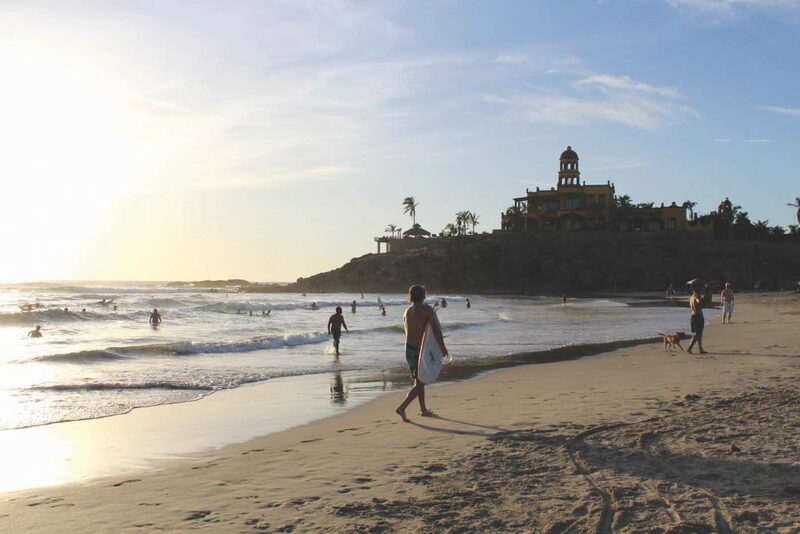 This family-friendly beach is relatively secluded; therefore, you rarely run into beach vendors. However, the beach does have brand new bathrooms and palapas. 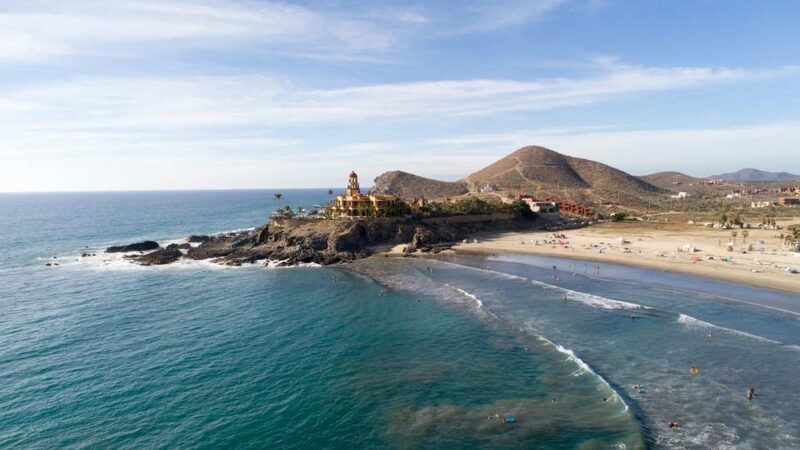 Location: Traveling west from Cabo San Lucas towards San José, follow the sign which reads “Santa Maria” and exit the highway at KM 13. Follow the dirt road until you reach the parking area. 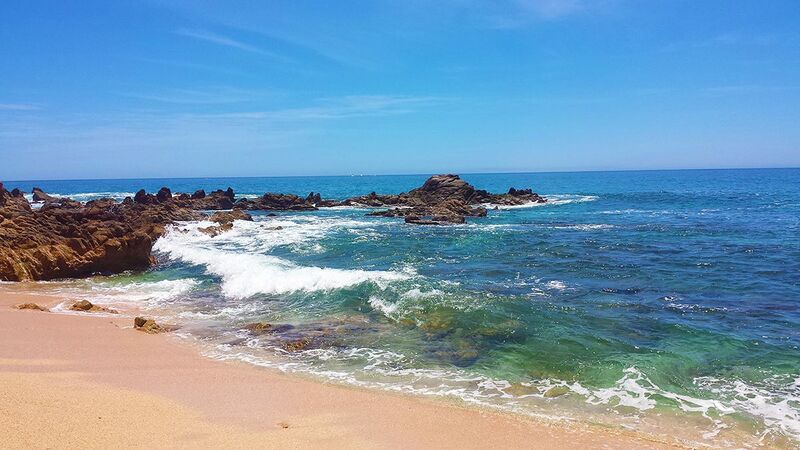 Tips: Swim from the shore towards the rocks on the right side of the beach for a great snorkeling experience. 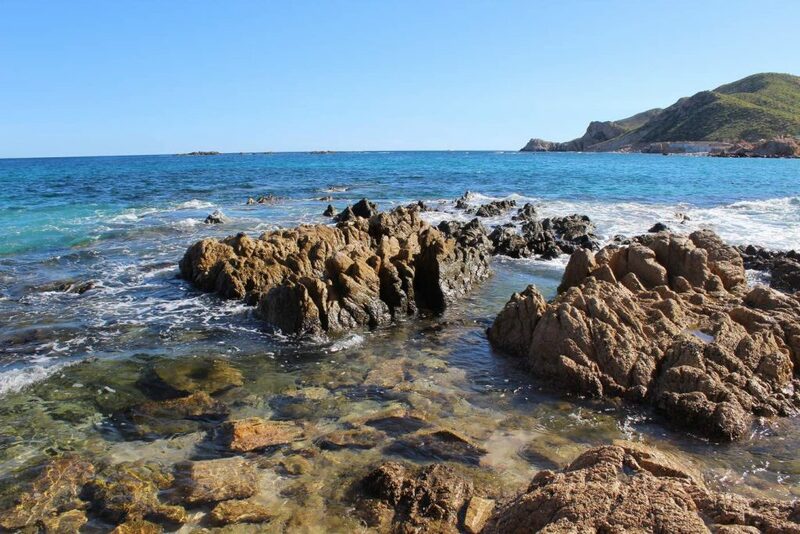 Las Viudas (The Widows) beach is not visible from the road and is possibly the most private beach you will find on this list. 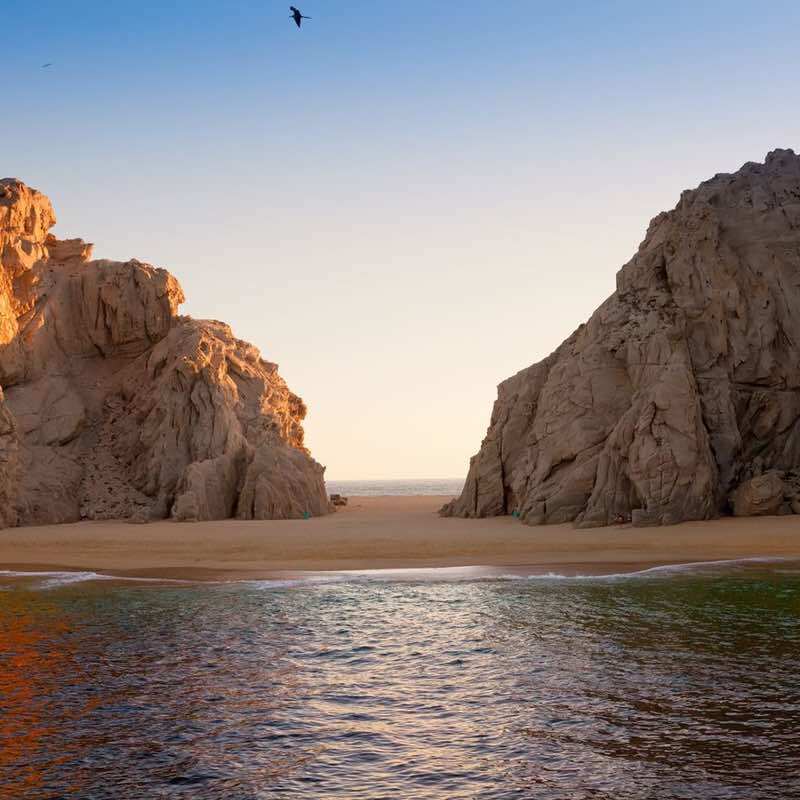 What makes it unique are the rock formations which create small pools and coves where you can have a private and peaceful beach day. This beach is swimmable with caution but if you find your own pool you can avoid the waves. Location: Turn right at KM. 12.5 of the corridor and follow the dirt road down to the beach. There is a sign that reads “Las Viudas” but slow down and keep your eyes peeled; the entrance may sneak up on you. Tips: You won’t find any services or vendors so bring all your beach essentials with you. 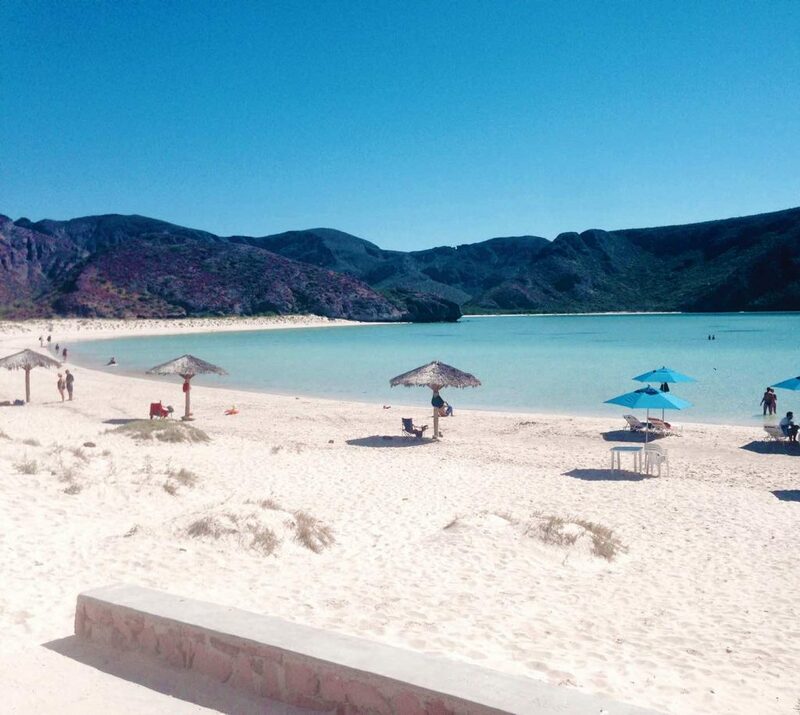 Chileno Beach is a very popular location for snorkeling and swimming due to its calm waters. 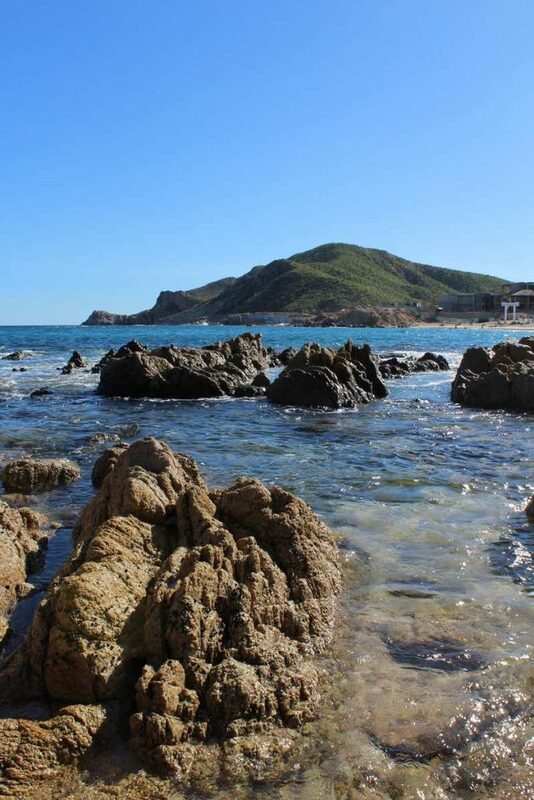 You’ll find tide pools at the left end of the beach and beautiful reefs offering excellent snorkeling and scuba diving. Public restrooms and showers are available, as well as a handicap ramp that takes you right to the beach. 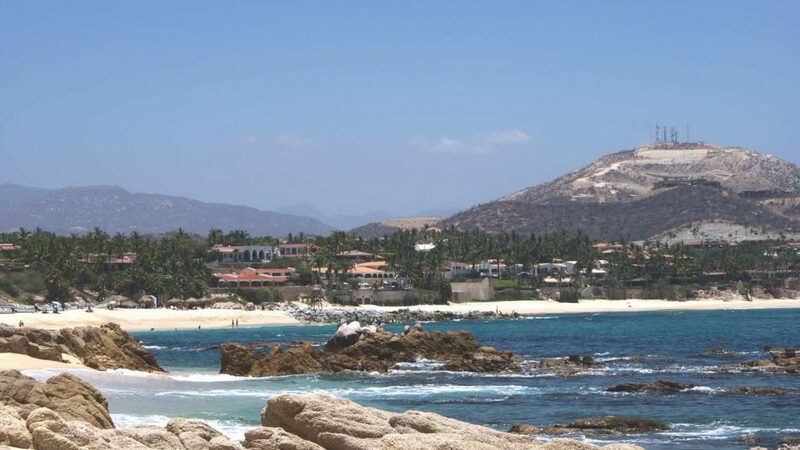 Location: Going from Cabo San Lucas towards San José, follow the signs for Chileno Beach Club near KM. 14 of the main highway. ​Tips: Snorkeling visibility is often better in the mornings and you’ll avoid the mid-day snorkel tours. Bring snorkeling gear! 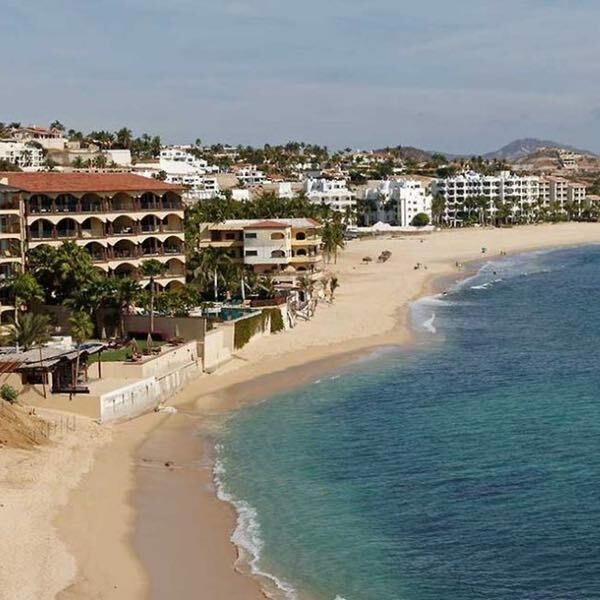 Palmilla Beach is known for its family friendly calm waters and a mile-long stretch of beach. 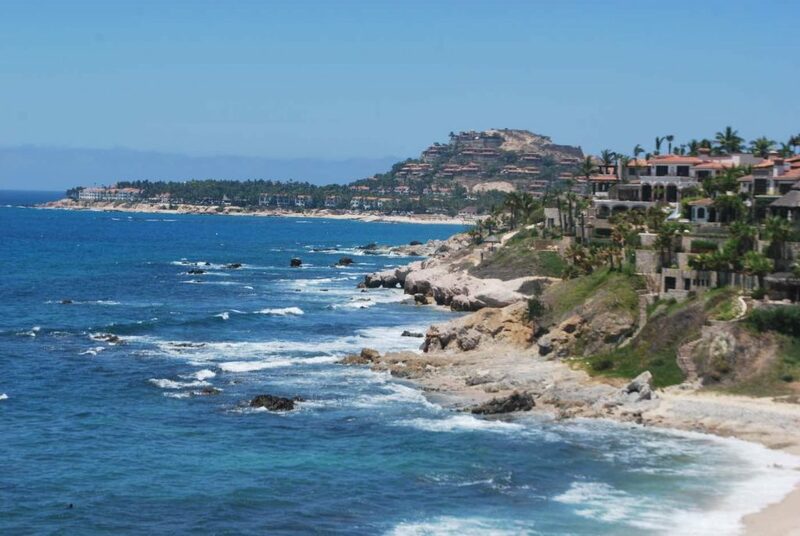 Located within the resort community of Palmilla, you will find yourself surrounded by oceanfront luxury homes and the One&Only Hotel. Pangas and fishing cruisers are available for charter, but you won’t find water sport rentals such as kayaks or jet skis. Location: Take the Palmilla ramp exit at KM. 27. Follow the signs and turn into the main beach parking area before the entrance to the One&Only Hotel. 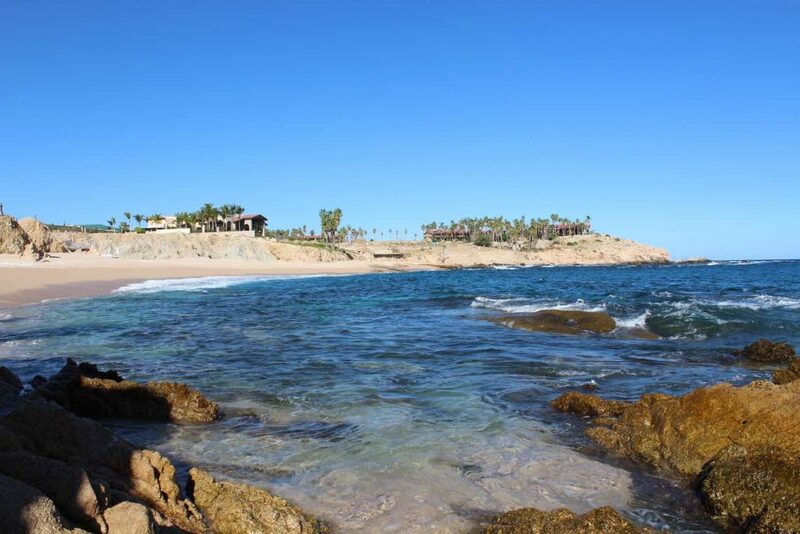 Tips: Palmilla is popular among local families on the weekends, so arrive early if you want a palapa, or bring your own umbrella. No services are available here. If what you’re looking for is a good surf spot you can find it here without driving out of town. Head over to Zipper’s for a surf session and lunch and beers at the restaurant. 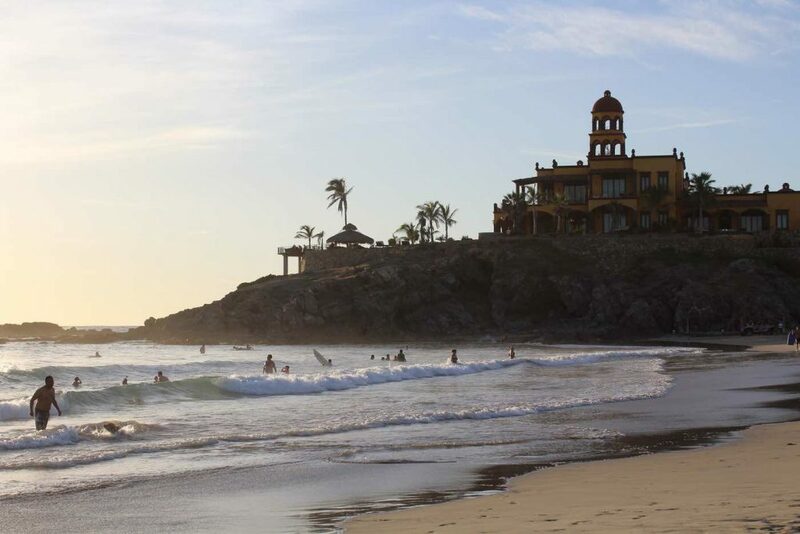 To the west of Zippers is Acapulquito Beach where the Cabo Surf Hotel and Mike Doyle Surf School are located. You can find surf shops in the area where you can rent surf and stand-up paddle boards and set up lessons. The surf is bigger during the summer, and in the winter this is a good spot for snorkeling and swimming. Location: Exit at KM. 28 via the Costa Azul Bridge. Tips: Swimming with caution is possible in this area but keep an eye out for surfers. 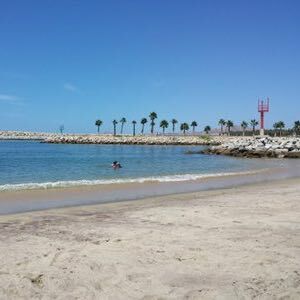 La Playita (the little beach) is a long stretch of beach where you will often find locals fishing from the shore and families with children enjoying the beach-front playground. 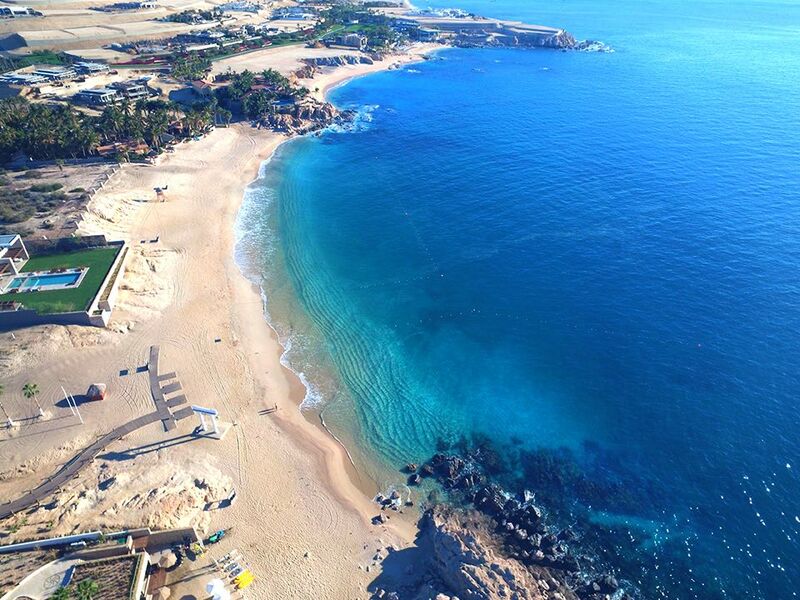 On the right end of La Playita you can find a roped-off swimming area just outside the entrance to the beautiful Puerto Los Cabos 500-slip marina. 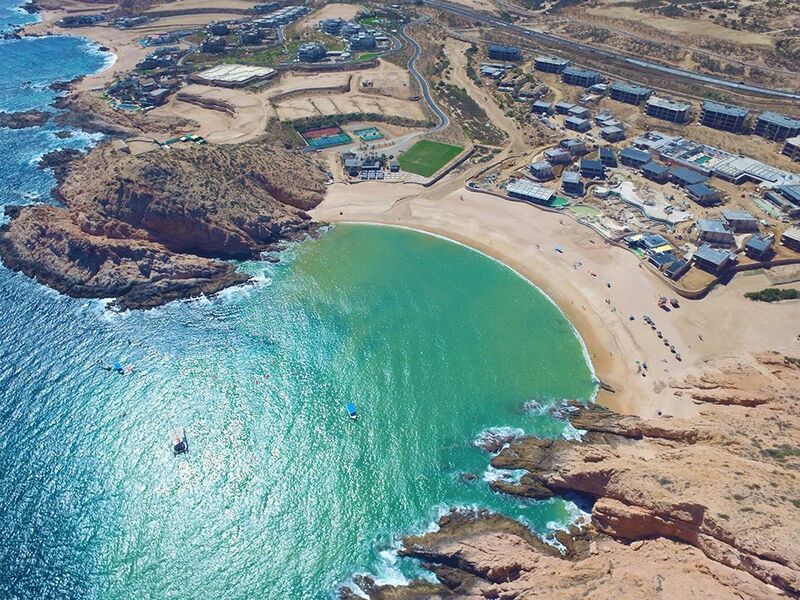 To the left is the natural open beach where you can swim, skim-board and enjoy a peaceful beach day away from the crowds. Location: Follow the signs to La Playita/Puerto Los Cabos from Boulevard Mijares in downtown San José del Cabo (across from the Fire Department). Tips: You will find new and well-maintained bathrooms, palapas and fishing charters. There are no food services directly on the beach, but several casual restaurants dot the surrounding area. Cerritos Beach is a popular surf spot and swimming here is relatively safe. 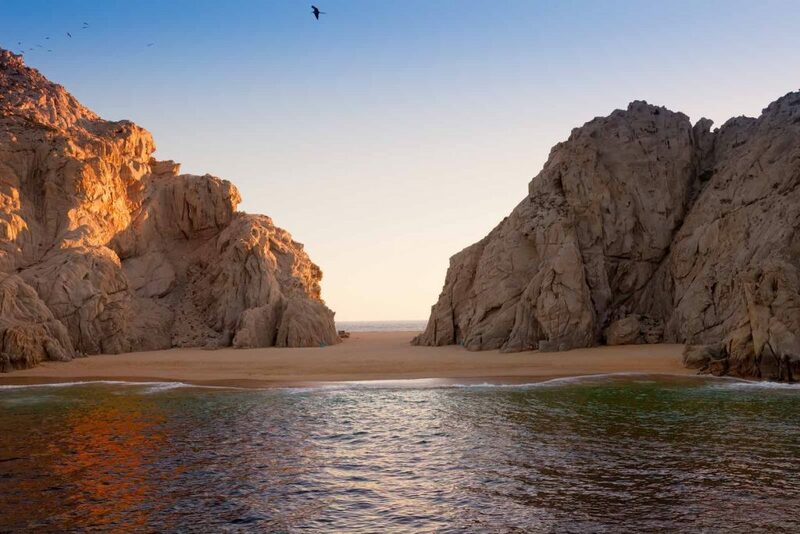 The scenic 45 minute drive from Cabo San Lucas is well worth the trip as you drive along the pristine Pacific coast. You can rent a boogie board or surf board or even take a surf lesson. Location: Exit at KM. 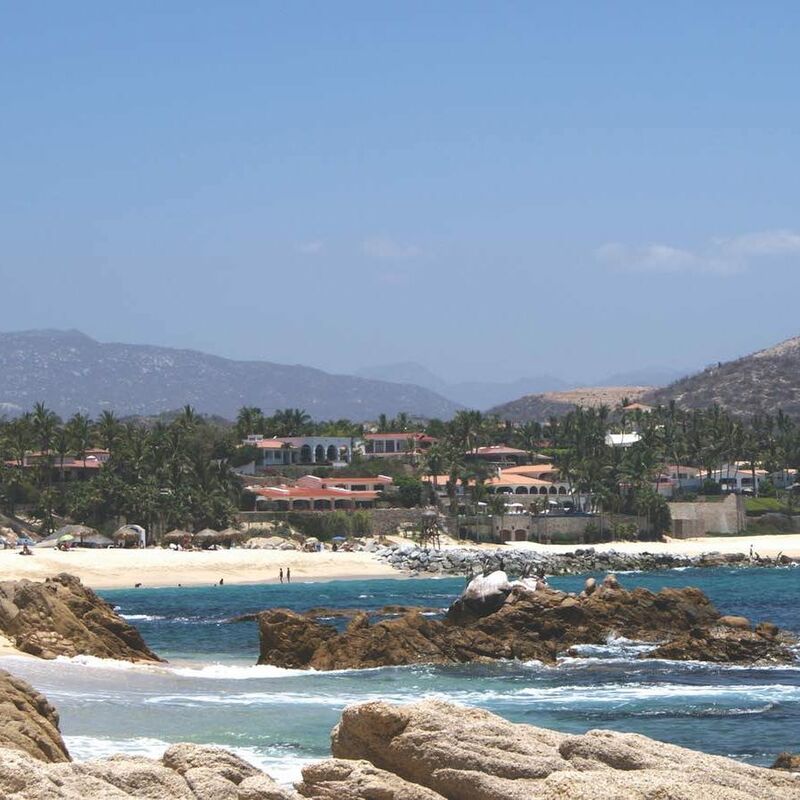 66 of the Cabo San Lucas to Todos Santos Highway. Watch the markers and look for the signs. Tips: Come prepared with food, drinks and beach gear. The ocean currents are strong and the waves can be quite powerful, so swim with caution. 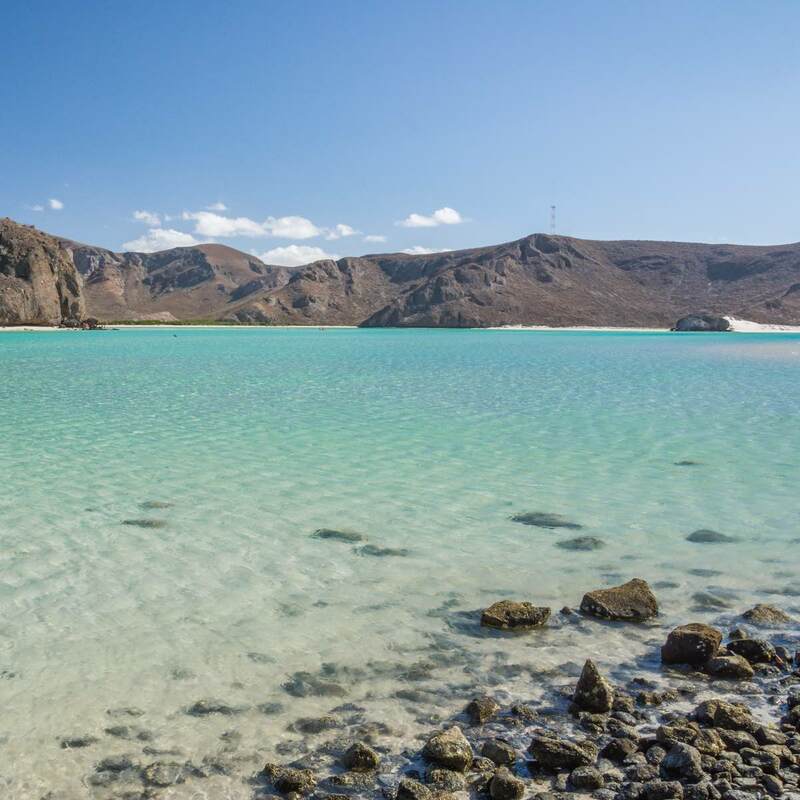 A stunning bay in La Paz (the State's Capital) that will take your breath away. You can walk back and forth in the bay in waist-high water that is crystal clear. 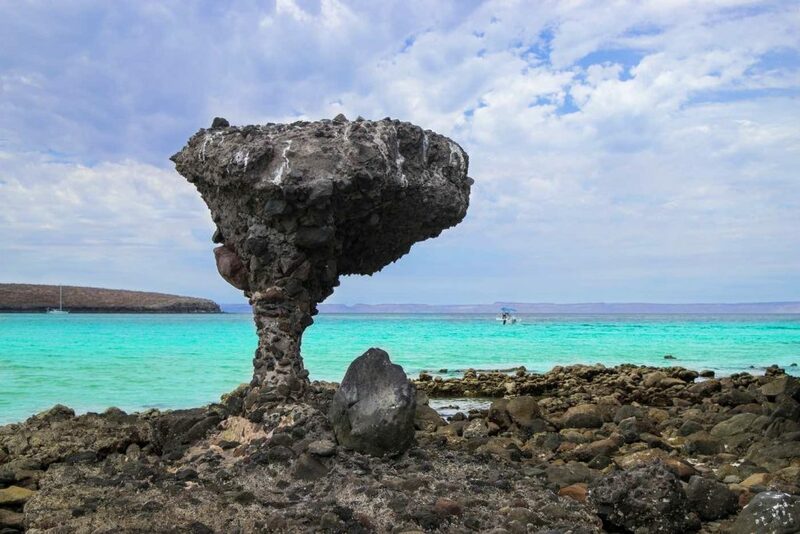 Follow the shore towards the north-east side and you will find the famous “mushroom rock.” You won’t regret visiting Playa Balandra! 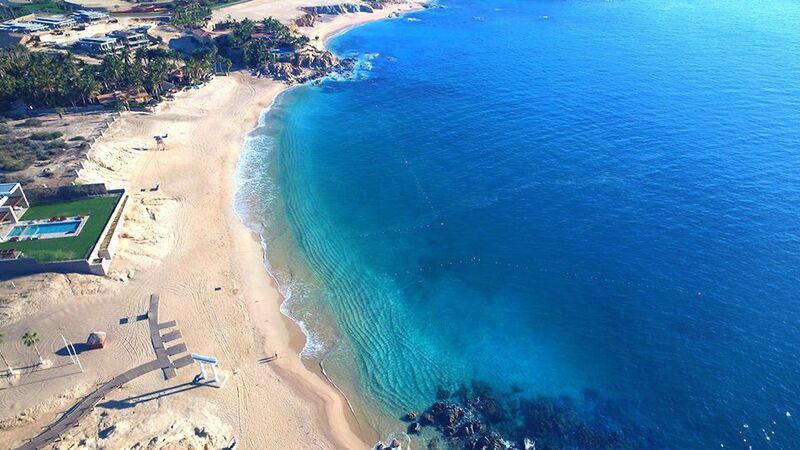 Location: A two hour drive from Cabo San Lucas. 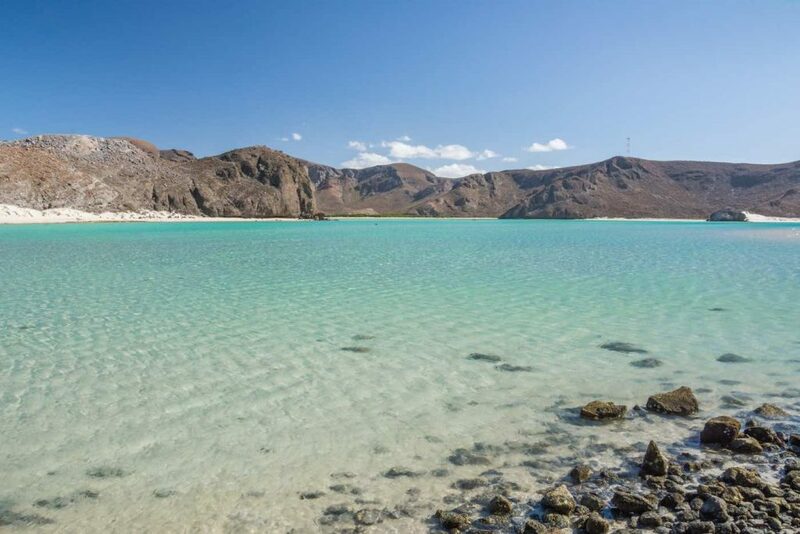 Once you're in La Paz, follow the main drag along the boardwalk, pass Costa Baja Resort and continue to wind around the coast and through the mountains until you see the signs for the beach. Tips: No bathroom facilities. There is a truck where you can buy water and snacks, but it is recommended to bring your own in case they are closed.